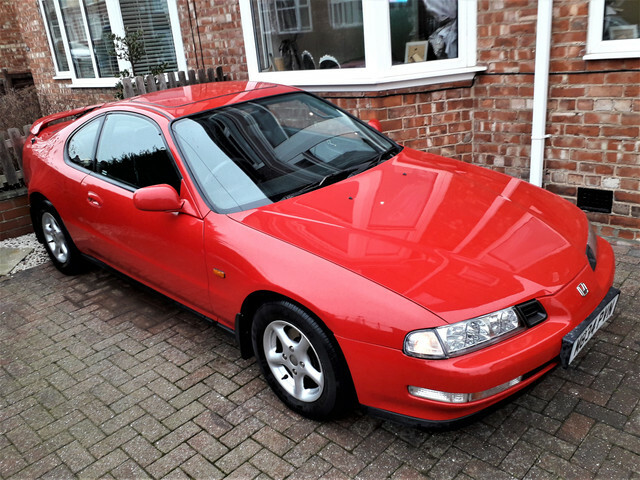 BACK IN LATE 2015 / EARLY 2016 THE CAR UNDERWENT A FULL PROFESSIONAL RESPRAY IN IT’S ORIGINAL FACTORY COLOUR ‘MILANO RED’ THIS WAS DONE FOR A COUPLE OF REASONS - THEIR WAS SOME MINOR WELDING REQUIRED, AND THE BODY SHOP WERE GOING TO STRUGGLE MATCHING THE 20+ YEAR OLD PAINTWORK WITH FRESH PAINT SO THE PREVIOUS OWNER DECIDED (OR WAS CONVINCED?) 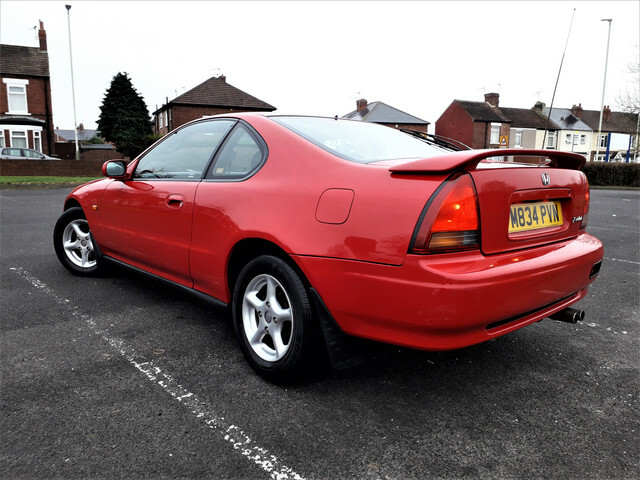 TO GO ALL OUT AND HAVE THE CAR FULLY RESPRAYED TO A VERY HIGH STANDARD. 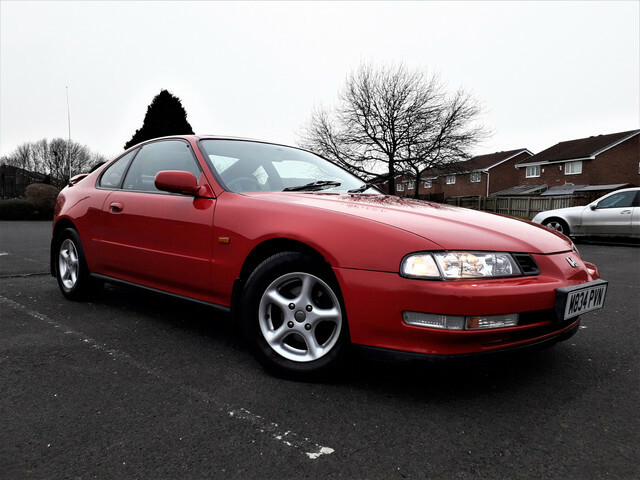 FOR THIS REASON THE CAR IS PERFECT COSMETICALLY AND A TRUE CREDIT TO THE PREVIOUS KEEPER(S) AND THE BODY SHOP. AS YOU CAN SEE IN THE PICTURES OR IN PERSON, THERE IS NO RUST TO BE SEEN, ALL PANELS ARE PERFECT & THE CAR LOOKS STUNNING! 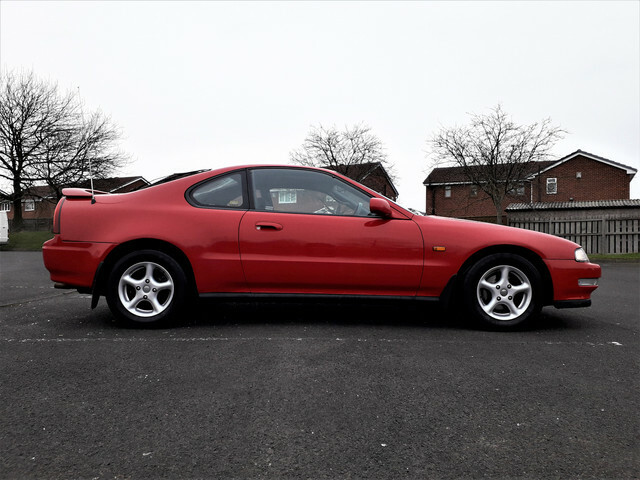 STILL HAS ITS FACTORY MATS, ALLOY WHEELS, MUDGUARDS ETC. A TRULY EXCELLENT EXAMPLE! 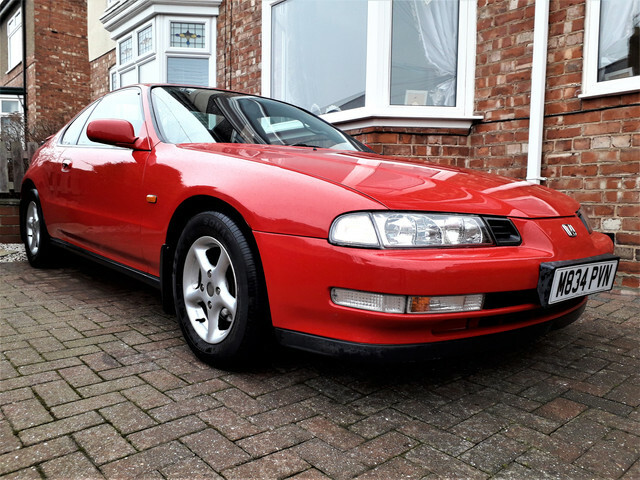 I VIEWED 6 GEN4 PRELUDE'S BEFORE BUYING THIS ONE, THIS IS FAR SUPERIOR TO MOST AND HIGHLY DESIRABLE BEING A TOTALLY STANDARD EXAMPLE, AN EXCELLENT INVESTMENT! 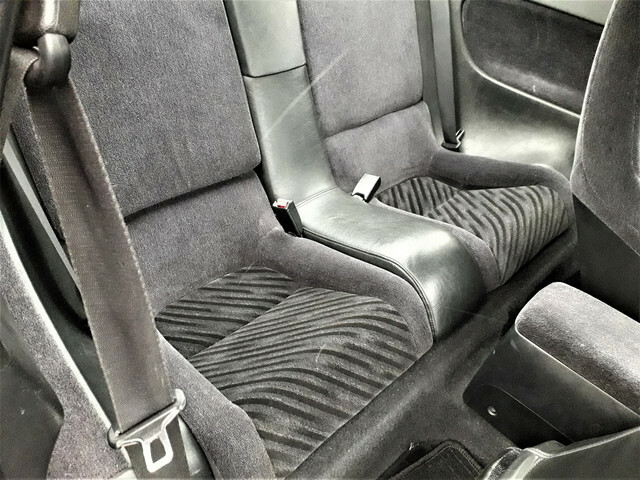 INTERIOR WISE, THE CAR IS TOTALLY STANDARD AS WELL AND AGAIN IN VERY, VERY GOOD CONDITION (APART FROM ‘SLIGHT’ WEAR ON DRIVERS BOLSTER!) IT EVEN HAS THE FACTORY HEADUNIT / TAPE FECK FITTED WITH A UB40 CASSETTE TAPE TO BOOT! ALL ELECTRICS WORK AS THEY SHOULD – HEATER, ELECTRIC WINDOWS, SUNROOF ETC. NO WARNING LIGHTS ON THE DASH. CENTRAL LOCKING VIA THE KEY. AS YOU CAN IMAGINE, THE CAR STARTS, DRIVES AND STOPS AS YOU WOULD EXPECT. ITS HAD NEW FRONT DISCS & PADS IN 2018 TOO. THERE ARE NO KNOCKS OR CLUNKS WHEN DRIVEN, AND THE ENGINE PULLS REALLY NICELY IN ALL GEARS. 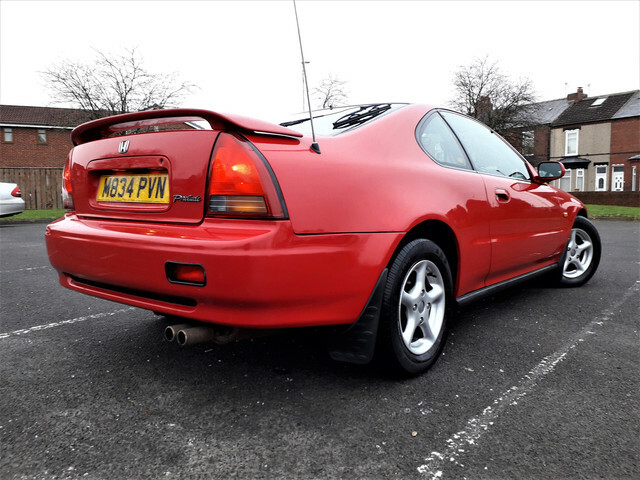 THE CLUTCH AND GEARBOX ARE PERFECT AND THE CAR IS AN ABSOLUTE PLEASURE TO DRIVE AND WILL NOT DISAPPOINT, VERY RESPONSIVE ENGINE, AND GREAT FUEL ECONOMY. 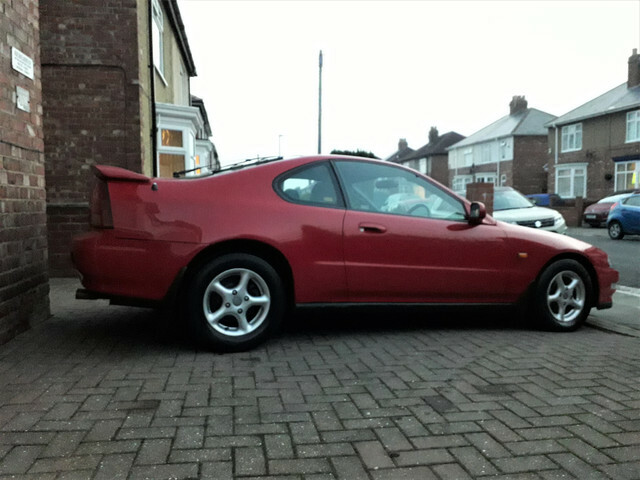 CAR WILL COME FULLY VALETED FOR THE NEW OWNER , AND FUEL IN THE TANK. Please feel free to PM, for additional contact details. Must be one of the best UK Gen 4 examples remaining !? Had a black one back in the day, loved it. Good luck with the sale. Will be going on eBay at the weekend. PLEASE NOTE, NO SENSIBLE OFFER WILL BE REFUSED. 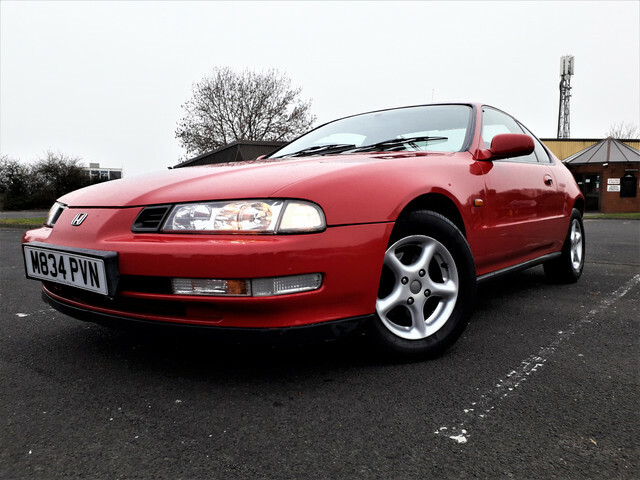 I cannot believe this car has not gone yet, I've had loads of interest via eBay (and other classifieds) but all involve swaps or part exchanges and I'm after a straight cash sale unfortunately! 9 hours remain on the listing, and I'm not sure if I'll be re-listing (for another £15.00!) because all I seem to have attracted is offers for swaps and part exchanges which I'm not interested in. I cannot express the quality / standard of this example, compared to others for sale. 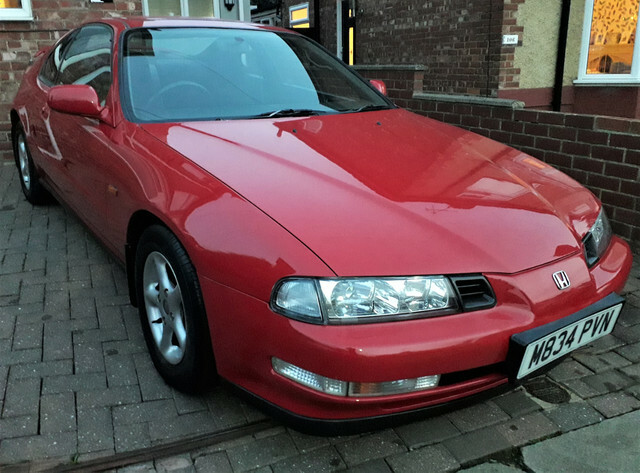 This must be one of the best remaining Generation 4 Honda Prelude's available in the UK! - well worth viewing! lovely motor but somewhat too rich for my blood, is this sfs ? 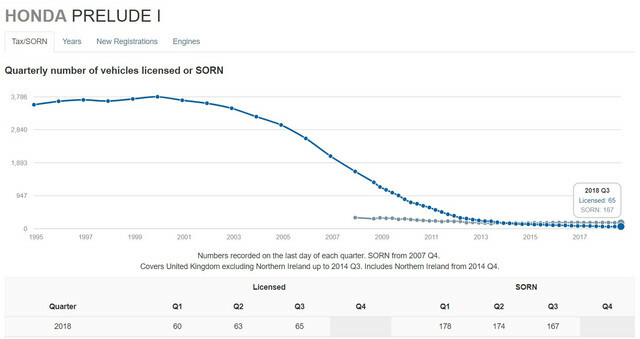 - THANKS FOR ALL THE INTEREST, AND ALL THE PROPOSALS FOR PART EX / SWAP DEALS ETC.